You know that moment when they’re serving the wedding cake and all the guests are taking pics or staring at it? Well, you better find one hell of a cake, otherwise your guests won’t be impressed. 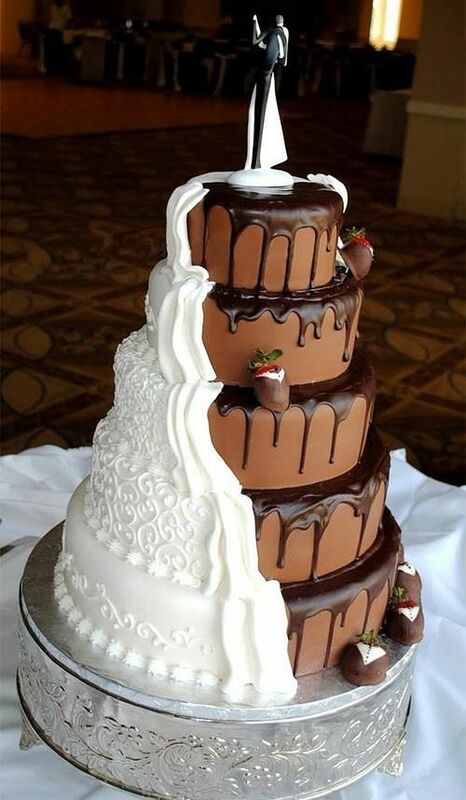 Need help with wedding cake ideas? Take a look at our showstopping wedding cakes. There’s something for everyone’s taste and every single one of them is unique in their own way. #18 is simply amazing. (1) Wedding day is all about the bride. But, we don’t wanna husband to feel neglected, do we? This black & white cake will satisfy everyone’s wishes. It’s classy enough but still unique.